Prepaid Wi-Fi services enable Internet telephony service providers (ITSP) to offer wireless access services that customers can pay for in advance. The market for prepaid services includes tourists, immigrant communities, mobile populations such as military personnel, and people with limited credit histories. These users can all gain immediate access to Wi-Fi services at key locations such as hotels, cafes by using prepaid Wi-Fi cards (“vouchers” or “access codes”) purchased at supermarkets and other types of retail outlets. 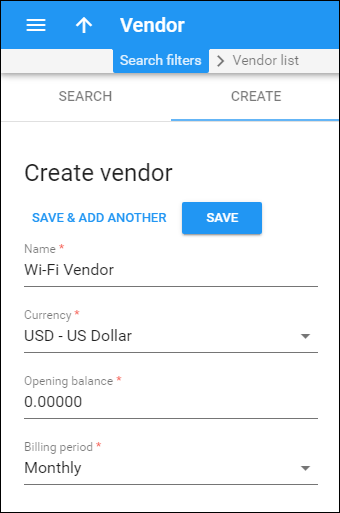 Prepaid Wi-Fi access is a single “purchase” transaction – so at the moment of the authorization all available funds are withdrawn from the account and converted into the Wi-Fi access time. This combination of services enables a carrier to authorize prepaid Wi-Fi access and debit individual user accounts in real time. 1. 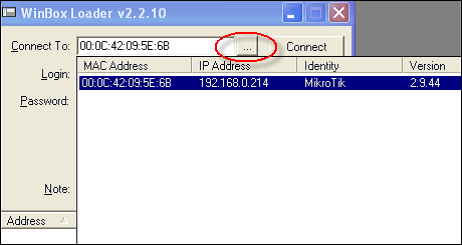 Assign a proper IP address to Mikrotik. If it is already assigned go to step 2. 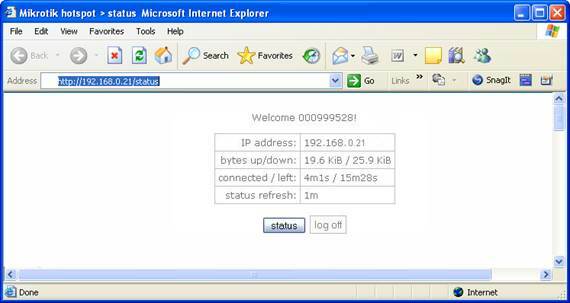 If not, set IP address manually or enable DHCP client and assign it to Ethernet interface with the help of winbox.exe utility. Click the “…” button, and select your router; only one should appear. Make sure the login is admin and there is no password. Click Connect. 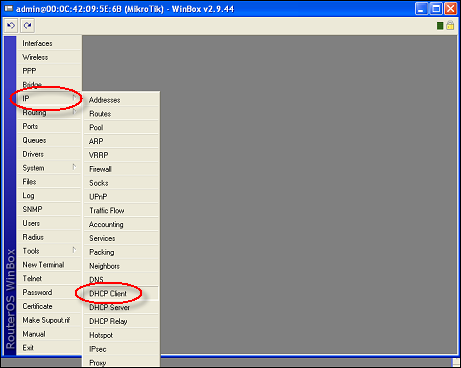 Open the IP tab, choose DHCP Client and then at the window click the “+” button. 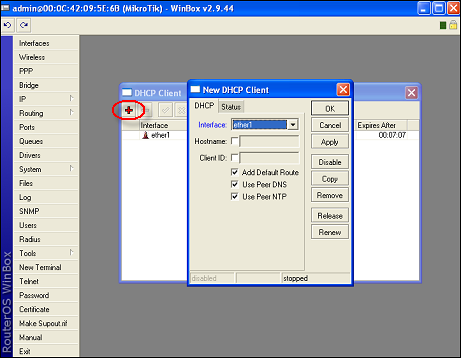 Assign a new DHCP Client port using the Interface dropdown box and click OK.
3. Assign IP address to wlan1 interface. NOTE: Network “192.168.12.0/24” is used as a sample. 4. Enable wlan1 interface and set wireless to “access point-bridge” mode. 5. Configure DHCP-SERVER for Wi-Fi. [admin@Mikrotik] > /ip dhcp-server network add address=192.168.12.0/24 dns-server=192.168.0.1,213.186.192.2 gateway=192.168.12.1 comment="wifi network"
NOTE: Network «192.168.12.0/24» used for sample, replace it with real network address and set correct dns-server address(es). [admin@Mikrotik] > /radius add address=111.11.11.11 secret="mikrotik" service="hotspot"
login-by=cookie,http-chap http-cookie-lifetime=3d split-user-domain=no use-radius=yes radius-accounting=yes radius-interim-update=received nas-port-type=wireless-802.11 radius-default-domain="" radius-location-id="" radius-location-name=""
[admin@Mikrotik] > /ip hotspot add name="WiFi" interface=wlan1 address-pool="wifi-pool" profile="wi-fi AAA"
NOTE: The name of the HOTSPOT server should be Wi-Fi (the same as the special destination for Wi-Fi service in PortaBilling®). 8. Connect to Wi-Fi router. Select the Wi-Fi network and click Connect. · Enter your Account ID and Service password. 1. 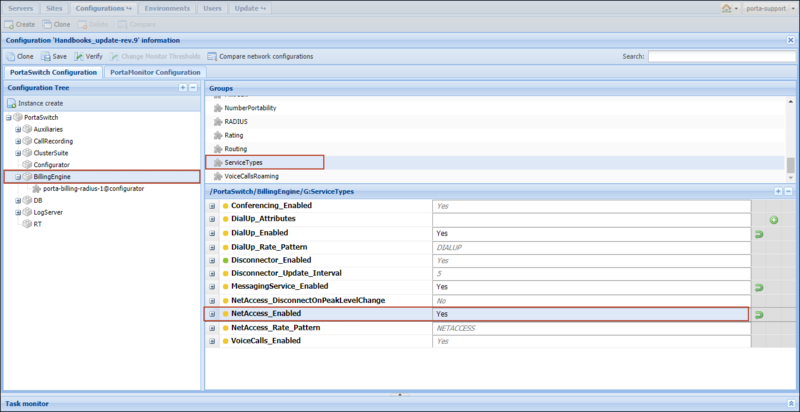 Enable the MikroTik_Enabled option in the GW_Adaptors group on the Configuration server web interface. 2. Click the Save button and then the Verify button. 3. Verify the new configuration and click the Check / Apply button. 1. 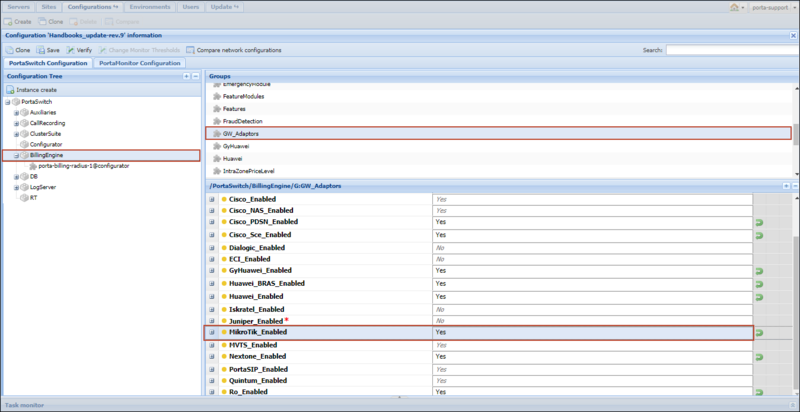 Enable the NetAccess Service in the Service Types group on the configuration server web interface. You need to create the same destination as the name of the HOTSPOT server you specified in step 7 Configure HOTSPOT server. when you set up your network components; in this case it will be Wi-Fi. · Prefix – Type in Wi-Fi. 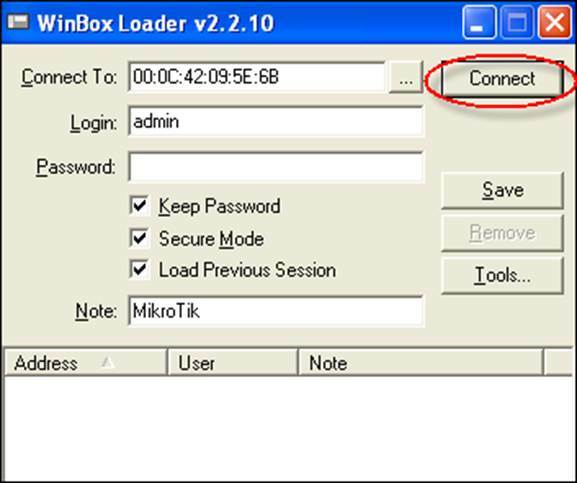 This step is only required if you have not entered your Wi-Fi router into the system before. In this case, you must enter your Wi-Fi routers as nodes. PortaBilling® requires some key information about your network equipment such as IP address, Node ID, Radius shared secret, etc. · Name – A short descriptive name for this node (that will be used in the select menus). · Node ID – Mikrotik server host name (recommended hostname.domainname). · IP – IP address of the Wi-Fi router. 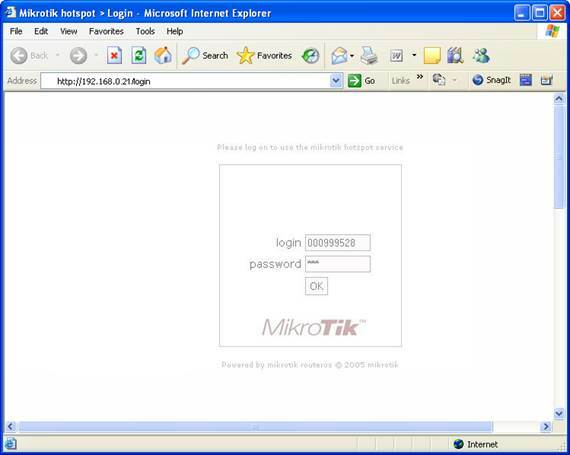 · Manufacturer – Select Mikrotik. · Type – VoIP node type; select ROUTER. 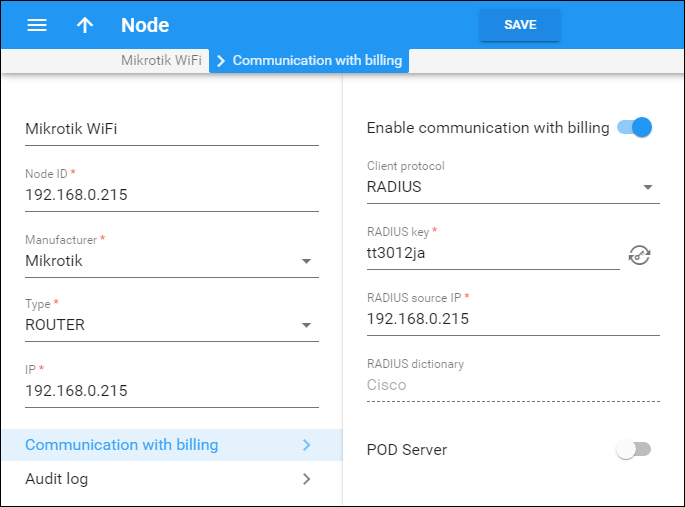 · Client protocol – Select RADIUS from the list to enable the Wi-Fi router (node) to communicate with PortaBilling® via RADIUS. 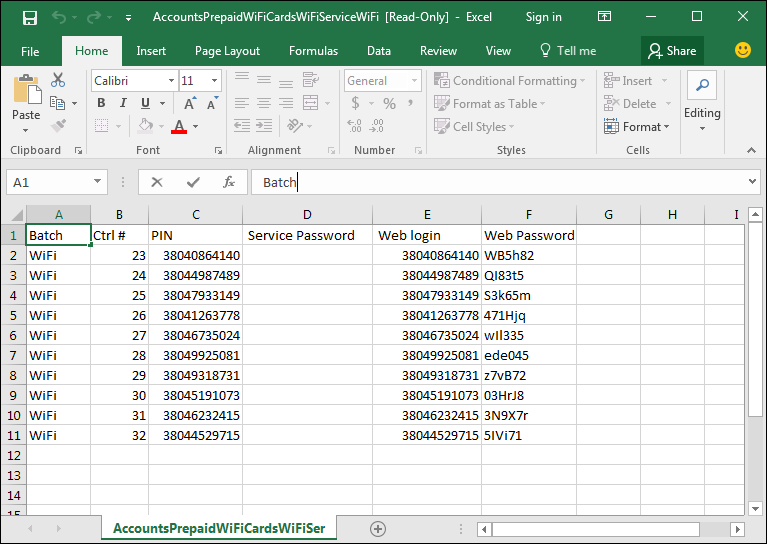 · RADIUS key – Enter the RADIUS secret key you have specified in the configuration of the Wi-Fi router. 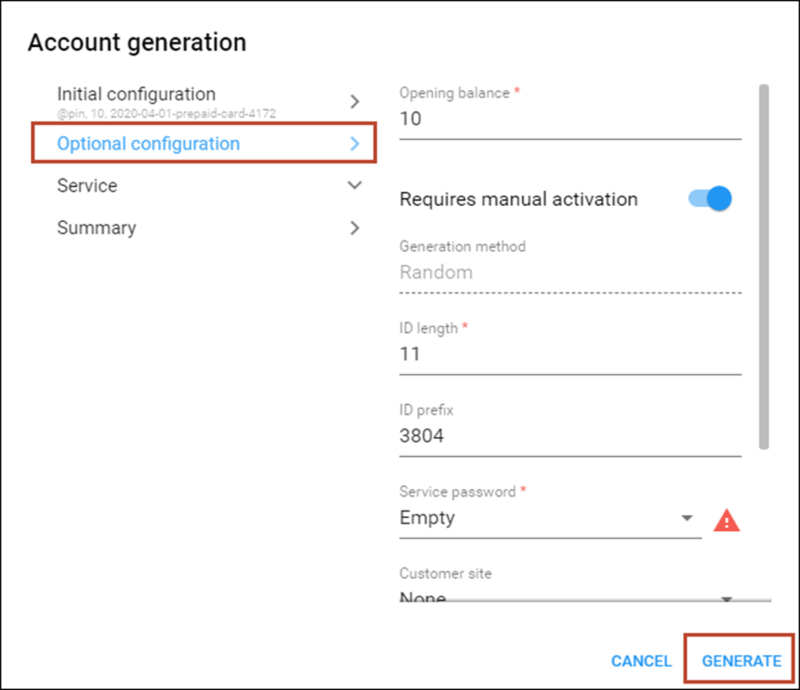 · RADIUS source IP – See the Node ID, NAS IP address, and Radius source IP section of the PortaBilling Administrator Guide. Unless your Wi-Fi router has multiple network interfaces, the value here should be the same as the NAS-IP-Address. · POD Server – This option relates to ISP billing. Leave the slider disabled. 6. Repeat steps 2-5 until all of your nodes have been entered. · Service – Choose Wi-Fi here. Rates are per-destination prices. Please refer to the Call Billing Parameters section in the PortaBilling Administrator Guide for more information on billing parameters. 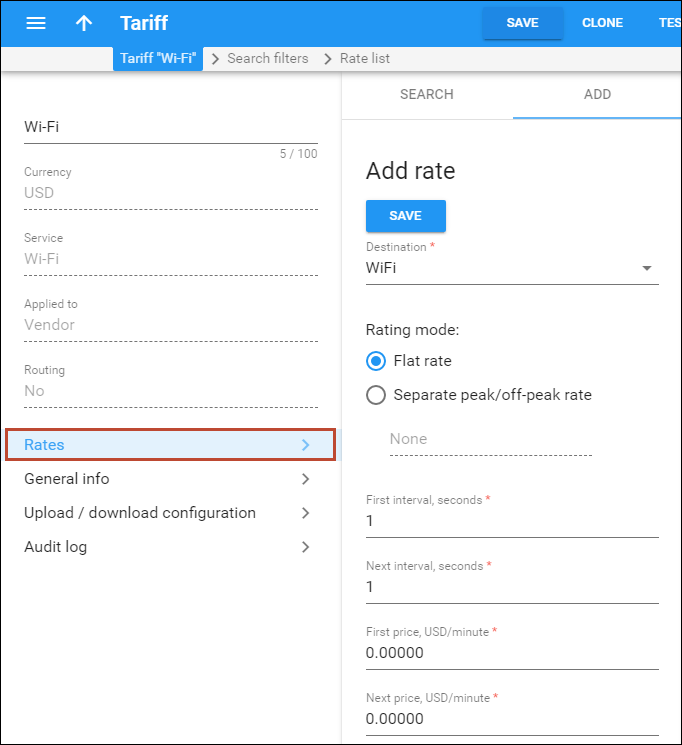 Create a rate for your Wi-Fi destination. 1. While on the vendor tariff’s panel (Wi-Fi), click Rates. 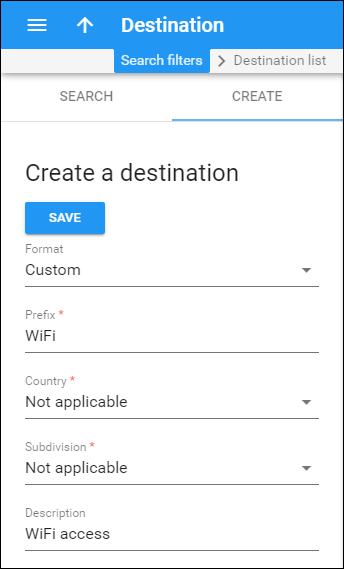 · Destination – Specify destination prefix Wi-Fi when billing for Wi-Fi services. · First price/Next price – Type in zero here as your internet provider doesn’t charge you based on session time. · Name – Type a short name for the vendor object (for example, Wi-Fi Vendor). 4. Repeat steps 2-5 to add all of your vendors. Connections represent the point from which data leave or enter a network and are directed to or from vendors where charges are incurred. 1. 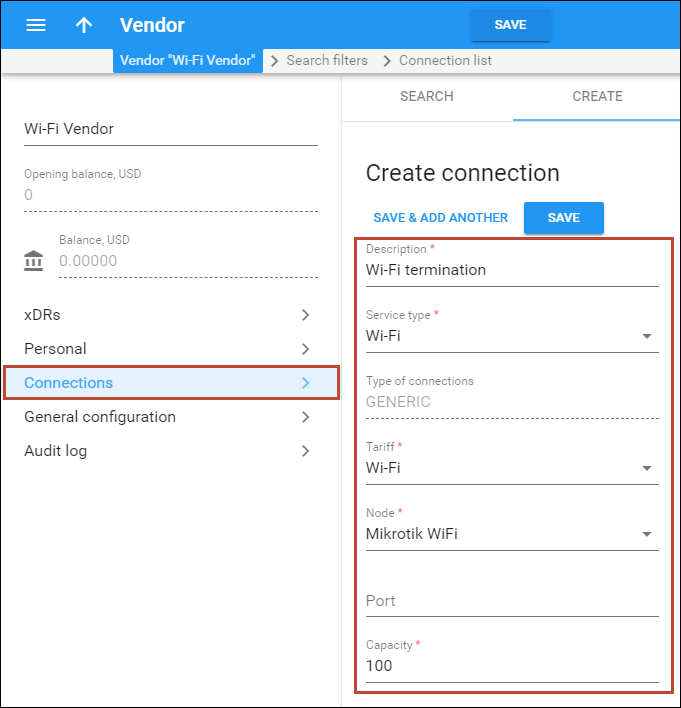 On your vendor’s panel (Wi-Fi Vendor), click Connections. · Service type – Select Wi-Fi. 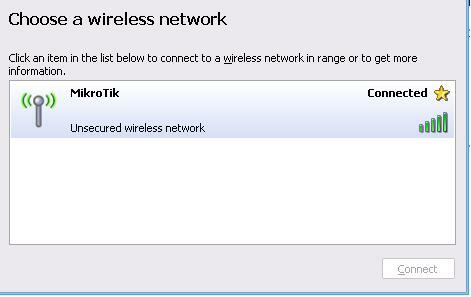 · Node – Choose the Mikrotik Wi-Fi router which you previously added as a node. · Capacity – Define the capacity value for this connection. 4. Repeat steps 1-3 to add more connections to the same vendor. 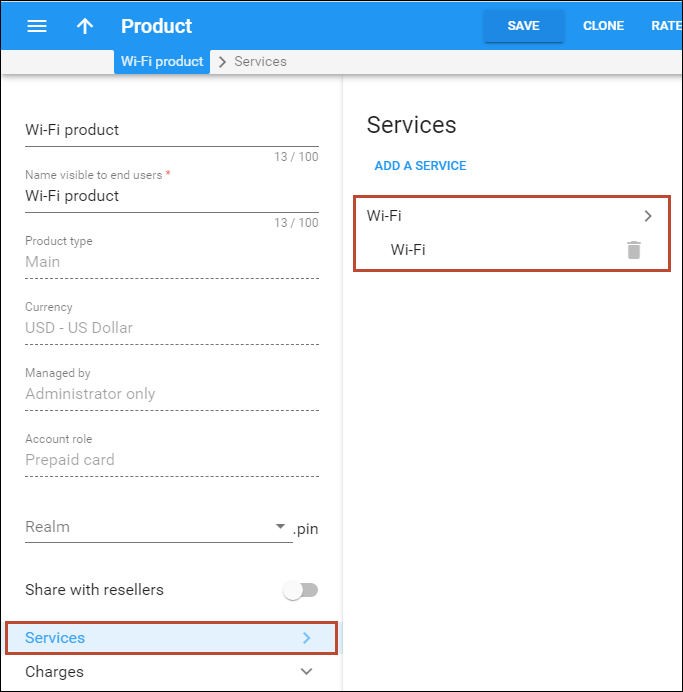 · Service – Select the service you created earlier (in our example, Wi-Fi). 2. 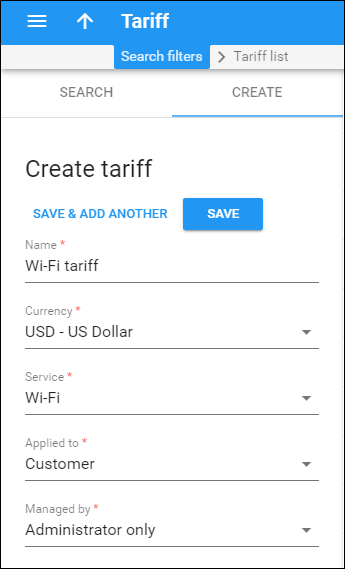 On the Add rate panel, fill in the rate details (please refer to the Enter Rates for Vendor Tariff section above for a detailed description of the available rate attributes). Account for accessing your prepaid Wi-Fi services will be issued for a specific product. 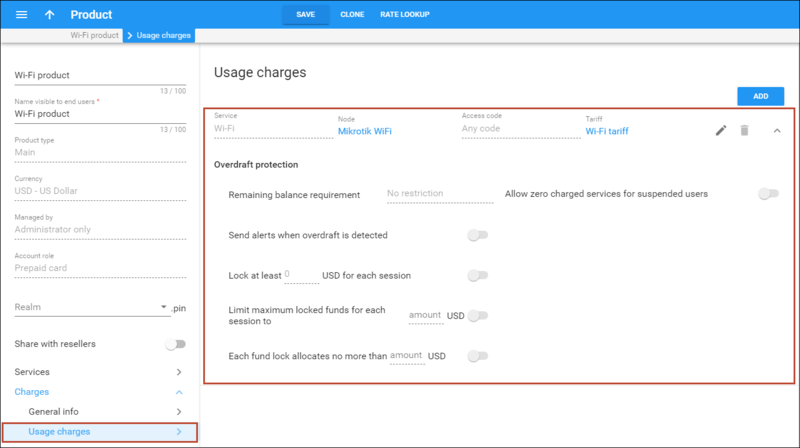 Products are a powerful feature that defines different ways to bill an account. Product definition is always realized through these steps: product definition, service definition and configuration and creation of a rating list. · Account role – SelectPrepaid card. 3. In the Select services to add dialog box, select Wi-Fi and click Add. 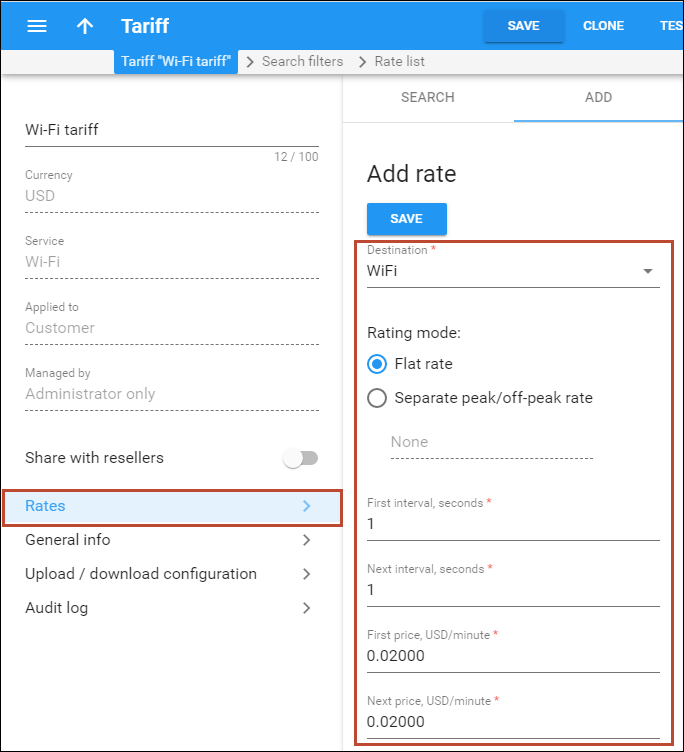 · Wi-Fi limit bandwidth – Use a slider to enable this option. · Max download rate – Select the measuring unit from the list and specify the maximum allowable download rate value. · Max upload rate – Select the measuring unit from the list and specify the maximum allowable upload rate value. · Service – Select Wi-Fi. 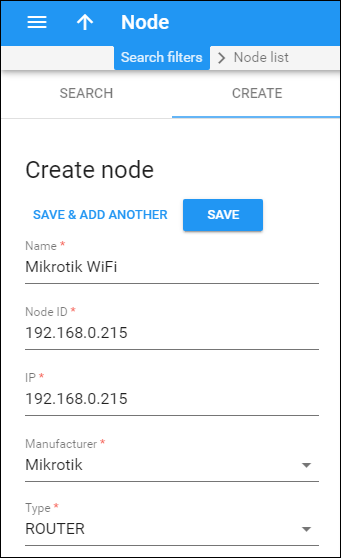 · Node – Select the Mikrotik Wi-Fi node. 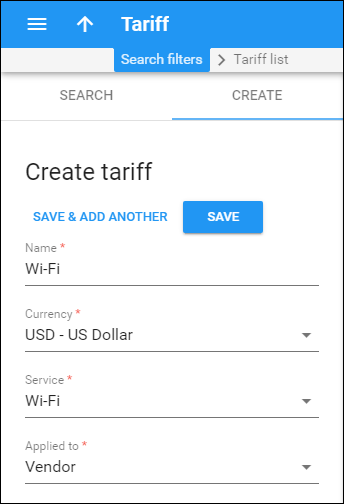 · Tariff – Select the tariff created previously. A customer class provides the ability to define a group of parameters in a centralized manner, and then apply those parameters to many customers simultaneously. Invoicing and payment collection parameters defined by the customer class are not really applicable to this customer. A customer here is merely a placeholder for prepaid Wi-Fi accounts, However, creating a customer class is recommended for defining a proper business model. A customer owns their accounts. Therefore, although you will not issue invoices, etc. 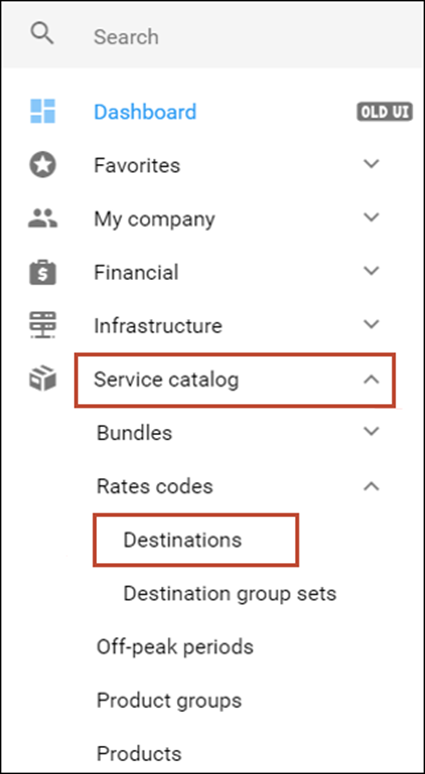 for the prepaid calling card service, you will still need at least one customer object in order to keep all prepaid card accounts organized in one location. · Name – Enter a short name for the customer object; this will be used on the web interface. 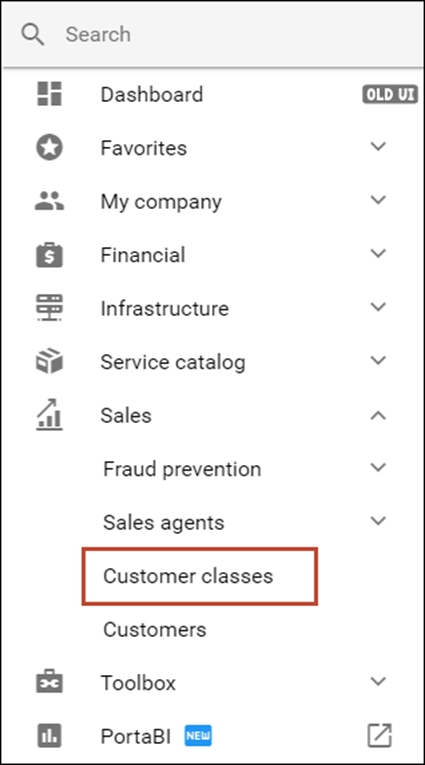 · Customer class – Choose Prepaid Cards Customers from the list. · Balance control – Choose Prepaid from the list. 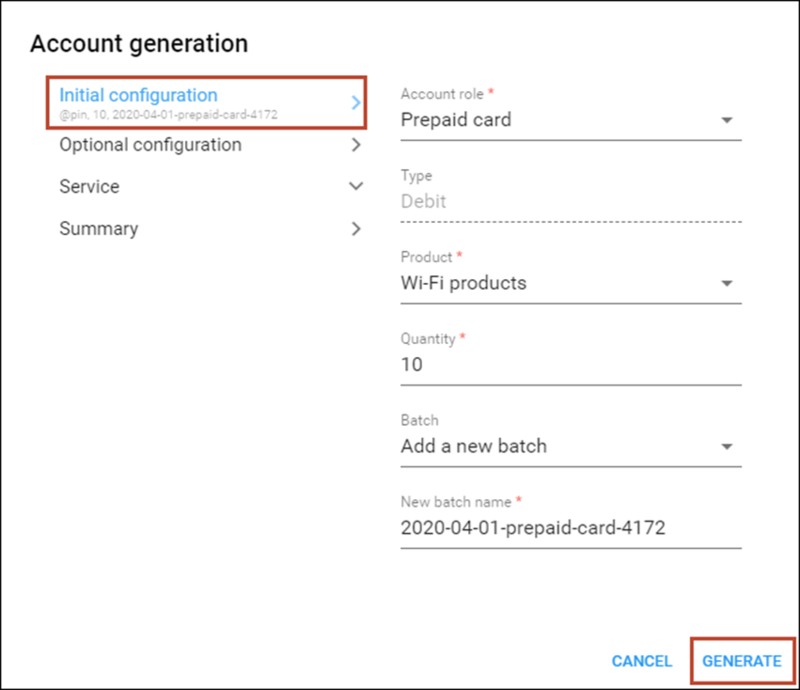 NOTE: Before generating accounts for a production system, read the section on “Provisioning prepaid accounts” in the Prepaid Calling Cards handbook. · Account role – The intended usage of accounts. Select Prepaid card from the list. · Product – Select the main product, which you would like your account to have. · ID prefix – If you would like all of the generated accounts to start with the same digit string (e.g. 3804), enter it here. Thus, if you enter 3804 and an ID length of 11, account IDs (PINs) will look like this: 3804NNNNNN, where N = random digits. · Service password – To improve security, you can use an account password during authentication, in addition to a PIN. If you choose Empty, no password will be assigned to the account, and the password check will be switched off during authentication. Choosing Empty is recommended by default. If you decide to use passwords, then please use the Auto-generated digits only option, since then the password can be entered in the IVR via phone keys. TIP: In case the original email message was lost or accidentally deleted, the file containing generated accounts is stored on the slave PortaBilling® server in the user porta-admin home directory, sub-directory cards. To view the xDR of an account, go to Customers, select the Customer owning the accounts, and click on the Accounts icon. Choose the date range for which you want to see a list of wireless internet accesses, and click Show Records. In the results table you will see the charges and other fees, such as maintenance fees or refunds (if any). The report can be also downloaded by clicking the Download. If a user connects to the Internet via NAS/ASN and is about to be disconnected due to a low balance, the user must be warned about the upcoming disconnection. This warning is often implemented as a redirect to a special page, which is, in our case, a Session Status page. This feature has already been implemented for the Wimax service. 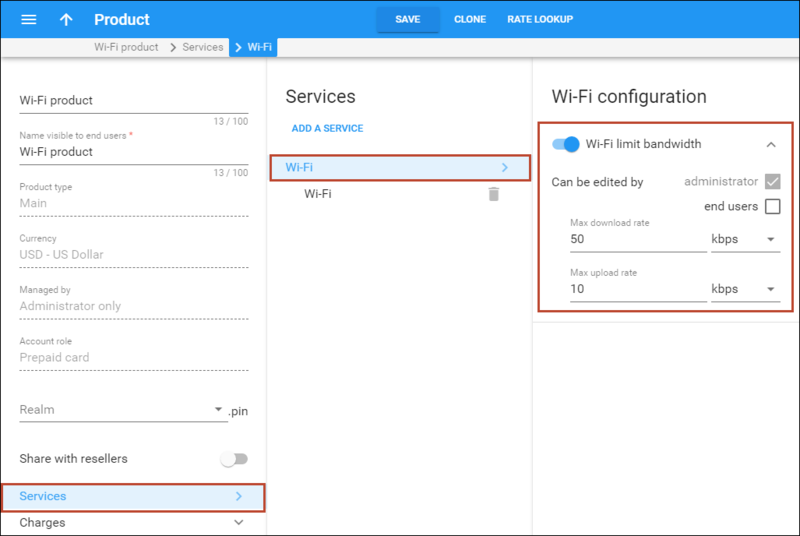 If you want to implement this feature for Wi-Fi service, please contact our Support Team at support@portaone.com to learn if your hardware allows configuring this functionality.